The Quran is the holy book in Islam. It is believed to be the word of Allah revealed to the Archangel Jibrael and passed to the Prophet Mohammed over fourteen hundred years ago, its recitation is required to be taken seriously. 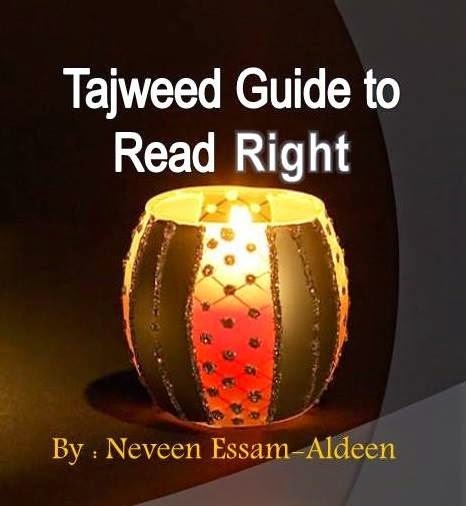 The word "Tajweed" refers to the art of reciting the Quran whilst observing the correct pronunciation of each and every letter, and applying the rules and characteristics which govern the letters. Perform "wudu" or ablution, which is washing parts of your body to cleanse yourself before you handle or recite the Quran. You are also required to wear clean clothes. Learn the rules of Tajweed. You need to learn the letters of the Arabic alphabet and understand how to pronounce them correctly. The sound will vary depending on whether it's emitted from the throat, palate, tongue or mouth. Some letters require shortening and others elongating. Locate a Quran teacher, who will help you by listening to your pronunciation and guiding you on how to become more proficient. You can find a teacher by inquiring at your local mosque or Islamic center, where Tajweed courses are often run. The traditional method of learning involves listening to a verse followed by exact repetition. Have the Quran open and focus on the text as you listen to the pronunciation by the teacher, who will then pause to allow you to repeat. This will help you to memorize verses of the Quran. Listen to teachers who recite at a slow pace, allowing you to distinguish the different rules of Tajweed being applied.